34 years of experience living in the Burlington Vermont area uniquely qualifies me as your professional real estate partner to identify choice Vermont communities and properties of all kinds. 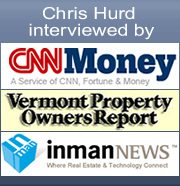 I cover real estate located in and around Burlington Vermont and the towns comprising Chittenden County ( Burlington , Charlotte , Colchester, Essex, Essex Junction, Ferrisburg, Grand Isle, Greensboro, Hinesburg, Jericho, Jericho Center, Lincoln, Middlebury, Milton, Monkton, North Hero, Richmond, Shelburne , S. Burlington, South Hero, Stowe, Underhill, Underhill Center, Vergennes, Waitsfield, Warren, Waterbury, Westford, Williston, Winooski). These areas also include Lake Champlain’s waterfront properties and luxury properties in the ski country of Stowe VT.I want to Welcome You to my website. I’m delighted you stopped in. Please take full advantage of all the resources I have built into this site. You will find an abundance of community information to acquaint you with our area. I represent buyers who want to purchase single family and retirement homes to multi family investment properties for students and investors alike. Perhaps, a post and beam or luxury vacation home or condo from which to enjoy city, lake and mountain activities. Why not find open land where to build your Dream Green House? Tell me what you want via my Dream Home Finder. Be as specific as you can. I will find it. Clients who choose me as their Buyer’s Agent can rest assured as I represent you, not the seller(s). Further, I offer daily access to detailed property information from across all companies that participate in our unified, statewide MLS. not just my own listings or my company’s listings. Greater Burlington VT has received many Accolades and Awards for quality health care, our great public schools, low crime, our revered environment and many additional factors which have contributed to Vermont’s exceptional quality of life. The extraordinary beauty of Vermont’s Green Mountains to the east and Lake Champlain with the backdrop of the Adirondack Mountains of New York to the west are dear to all of us. Burlington , Stowe, Middlebury, Montreal and Hanover NH are easily accessed for cultural, educational, great shopping and recreational pursuits of all kinds. Boston, New York, Chicago and Philadelphia are only short direct flights away. That’s why so many decide to live here, raise their families and retire in and around Burlington, the Champlain Valley or rural Vermont. Whether you’re looking for your first home, your dream home or an investment property, I’m committed to providing you with the highest quality buyer service. When making the type of investment that buying a home requires, you deserve to have all the latest market information and the very best advice, both of which I can provide you with . Read more .